The Minister of Lands and Natural Resources, Mr John Peter Amewu, has said an accelerated economic development is possible with the integration of the minerals and mining industries into the other sectors of the economy. He said aside from the fiscal benefits derived from mining, the sector’s contribution would be best maximised when there was focus on value addition and integration of local content into the mineral value chain structure.The minister said the local content and value creation in the economy required a concerted effort on the part of both government and industry to promote local businesses at all levels of the value chain.“This is the main mechanism for expanding indirect employment in the mining sector,” he said. 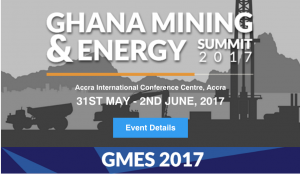 He said the continuous relevance of the mining sector to the economy depended largely on the inflow of investments for both fresh and brownfield exploration and pledged the readiness of the ministry to work with the Ghana Chamber of Mines and the mining industry as a whole to stimulate new investment and exploration opportunities for investors, miners and financiers. “As partners in sustainable development, the government is committed to cooperating with the mining companies to come up with cost-cutting innovations and modern technology to boost investment in the sector,” he said. The minister said the government was aware that the proportion of the total mineral royalty, which goes directly to the mining communities, was woefully inadequate for the stimulation of meaningful infrastructural development in the mining communities. He said the recent passage of the Minerals Development Fund (MDF) Act by Parliament was expected to provide the financial resources to transform the mining communities. According to him, the ministry had initiated the necessary processes to implement the MDF Act and called on the Chamber to support the implementation of the law to realise its objectives. On illegal mining and small-scale mining, the minister said while the small-scale mining sector had the potential to contribute to livelihood empowerment and poverty alleviation of the local people, the unprecedented destruction to water bodies and environment through activities of illegal mining called for another look at the sector. He said government believed that the sector needed to be restructured and regularised to benefit the local people and the entire nation. In view of this, the government is determined to stop the activities of illegal mining in the country and this is evident in the nationwide campaign in various forms against illegal mining. Mr Amewu said the Ministry of Lands and Natural Resources is tackling the illegal mining menace (galamsey) through a Multilateral Mining Integrated Project (MMIP). The objectives of the project are to strengthen the socio-economic capacity of mining communities, promote and support sustainable mining practices, improve environmental conditions in mining communities, among others. The Chief Executive Officer of the Chamber of Mines, Mr Sulemanu Koney, said the summit had been rebranded with focus on mining and the key forms of energy used in the mining industry – Power and Diesel. He said the mining industry was energy intensive and, therefore, an efficient and cost-effective energy sector will rub off positively on the mining industry. Mr Koney said to ensure that the country continued to harness the benefits of mining sustainably, Ghana had to continually evaluate its competitiveness in order to attract the requisite investment both at the exploration and mining phases. He said the operations of the Chamber’s producing member companies were designed to have minimal impact on the environment through strict monitoring; and controls by the companies, regulators, as well as third party audits ensure that this was achieved.